Hall of the Mountain King: Stuck in my Head: Metallica, "Escape"
The decision to play 1984’s Ride the Lightning in its entirety a couple of weeks ago for their inaugural Orion Music and More Festival brought a historic moment for Metallica. It intrigued me so much that I tuned in to Fuse TV’s live stream of the concert online to see it. The sixth track on the album, “Escape,” is one of only a handful of songs from their catalog that the band has never played live. Oh, there’s been a snippet of it in a medley here and there over the years, but they’ve never played the whole song, and it’s said that no one in the band really likes it. I can’t understand that since it’s one of my favorite tunes on the album. Despite their reluctance, they cranked out a really good version of the song at the festival. James Hetfield’s voice cracked a little on a few of the higher, more melodic parts, but in all honesty, I thought he had much more trouble with “Trapped Under Ice,” which came next. The tune acquitted itself well live, and they even teased us with a bit of another song they’ve never played live, “Frayed Ends of Sanity” from …And Justice for All, ironically, one of my favorite songs from that record. But I’ll tackle that one some other time. 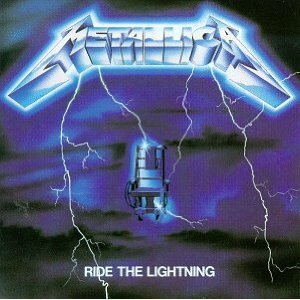 Though “Escape” is probably the least thrashy moment on Ride the Lightning, it’s always had a great appeal to me. There’s clearly more of a hard rock or traditional metal vibe to the song, drawing heavily on some of the New Wave of British Heavy Metal bands that influenced them. It starts out with a guitar riff at a relatively sedate gallop for the band at that time and some harmonizing leads. Then there’s that cool melodic chorus that was completely out of character with the rest of the record, but it’s what really makes the song for me. A defiant crunching riff leads into Kirk Hammett’s guitar solo, and another comes out of it with sirens sounding in the background and Hetfield’s again strangely melodic refrain of “Life’s for my own to live my own way” fading out with the rest of the band. It’s grammatically quite awkward, but that line always sticks with me for days after I hear it. That message of the song also still rings true with me, though, sadly, you sometimes don’t have the ability to follow it in the real world. Ostensibly about an escaped prisoner, it’s really about escaping from the things that keep you from being what you want to be and living the way that you want to. In a piece I did a few years back, I chose it as one of the metal songs that inspired me most, and I still feel that way. 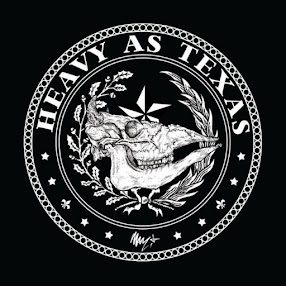 It was nice, watching the stream of the show, to hear live versions of all of the songs from what often seems to be the band’s most underrated album, despite the notable presence of “For Whom the Bell Tolls,” “Fade to Black” and “Creeping Death” on its tracklist. As for the rest of the Orion Festival performance, it was one of the best and most energetic Metallica shows that I’ve seen in some time. It’s obvious they were pumped, and it showed. It would be nice if they’d head back into the studio after the experience and try to capture some of the attitude and aggression with which they delivered songs like “Fight Fire with Fire” during this show. A guy can dream, right?